The Central Executive Committee of HUM, UK discussed the recent report of the National Commission of Human Rights, Pakistan (NCHR) in detail and, after finding enormous technical blunders in the forms of misquoted references, collating and processing unreliable facts and figures and misrepresented statistics about the overall killings to date etc, the CEC has unanimously decided to rubbish the entire report as completely incoherent, unreliable, misleading and misrepresenting which will only alienate the expectations and hopes of Pakistani Hazaras of the state organs including Pakistan’s so-called independent human rights organisation(s). The research pertaining to the genocide of Hazaras lacks essentials of a good report which fails to mention its aims and objectives, the literature received through responses to the questionnaire, open-ended interviews and other relevant material have neither been reviewed properly nor critiqued them thoroughly which could have invoked the interests of stakeholders. Among innumerable incompetencies, the report fails to mention the de facto perpetrators, masterminds, facilitators, coordinators, abetters and sympathisers etc who have been working in concert to cause maximum human casualty to this beleaguered minority group. The report also fails to process the data accurately in order to bring forth the essence of their research work and challenge cognitive and intellectual aspects of this ongoing malaise. Read the detailed para-wise explanation/commentary. Chairman’s message claims, “the past two decades of Pakistan has seen the scourge of violent religious extremism”. This statement is misleading for the violent religious extremism in Pakistan was started in mid 80s in parts of Punjab. The rough age of religiously-motivated extremism is, at least, 32 years. He further says, “the greatest burden of sectarianism is born by Shia Hazara community of Balochistan”. The Chairman has tried to paint the killings of Hazaras with thick brush of sectarianism which is completely false. The killings of Hazaras have nothing to do with sectarianism. These are one-sided killings of a beleaguered community which is tantamount to genocide according to the Article 2 of the Convention on the Prevention and Punishment of the Crime of Genocide . His narration that the total population of Hazaras is between 0.4 to 0.5 million is incorrect. The total population of Hazaras is estimated to be between 0.8 million to 1 million with their main population living in eastern (Alamdar Road) and western (Hazara Town, Brewery) parts of Quetta city . The report mentions Balochistan’s Home Department as quoting that 509 Hazaras have been killed in the last 5 years (since 2012) in various incidents including bomb blast, suicide attacks and targeted-killings but it has failed to mention the total number of attacks perpetrated against Hazaras since 1999. Unfortunately, the terrorist attacks on Hazaras mostly remain unreported by the national channels and newspapers of Pakistan, therefore, the statistics of the Balochistan’s Home Department is incoherent, incomplete and nonsensical. The NCHR’s report has made grave errors in mixing up various incidents of mass execution and suicide bombings which further damage its credibility by relying on misleading and confusing information. For instance, the report says, “In 2011, a vehicle of pilgrims was obstructed near Mastung and selected passengers with Hazara identity were killed.” The report has wrongly linked this unreliable news report to this link, http://www.maca-usa.org/MACADocuments/HazarasGierNick.pdf but referenced-link does not mention the above incident. Instead the above link confirms that 29 Hazaras were killed execution style on a highway in Quetta on 20th September, 2011. Mentioning another deadly attack taking place on Mizan Chowk on 17th February, 2013 which took the lives of 84 innocent people and injured 160 others is also mis-quoted and it has no relation to this link: http://www.maca-usa.org/MACADocuments/HazarasGierNick.pdf. In fact, the Mizan Chowk incident took place on 3rd September, 2010 which killed 56 peaceful Hazara demonstrators and injured 160 others. The incident on 17th February, 2013 did not take place on Mizan Chowk, contrary to the report of the NCHR. This tragic incident was perpetrated in Hazara Town, Brewery where people were busy shopping when an imported water-tanker filled with C4 and highly inflammable explosive material weighing 800 kg to 1000 kg was exploded was transported to Hazara-inhabited populace from outside Quetta, crossing dozens of security check posts. As a result of this terrorist attack, the death toll later reached to 110 being killed and 250 critically injured. The victims were mostly school-going children. The report claims to have used qualitative research method but it has failed to showcase the number of responses received on questionnaire, the number of people interviewed and the number of organisations responding to the questionnaire etc. The methodology has also failed to critique and process the data thoroughly to mention complicity of the state and its security establishment in providing fullproof security to Hazaras. The report skips the essential parts of the research and failed to explain the aims and objectives of their work. The literature received was not properly analysed, critiqued and processed which further invalidates the credibility of the entire report. The report errs to portray Hazaras as descendants of Genghiz Khan which is not true. As the Buddhas of Bamyan were built in around 4th century and Bamyan always being ancestral place of Hazaras even before the construction of the Giant Buddhas which gives weightage to the fact that Hazaras were living in Afghanistan years before the built of Giant Buddhas in 4th However, Genghiz Khan was born in 12th century. 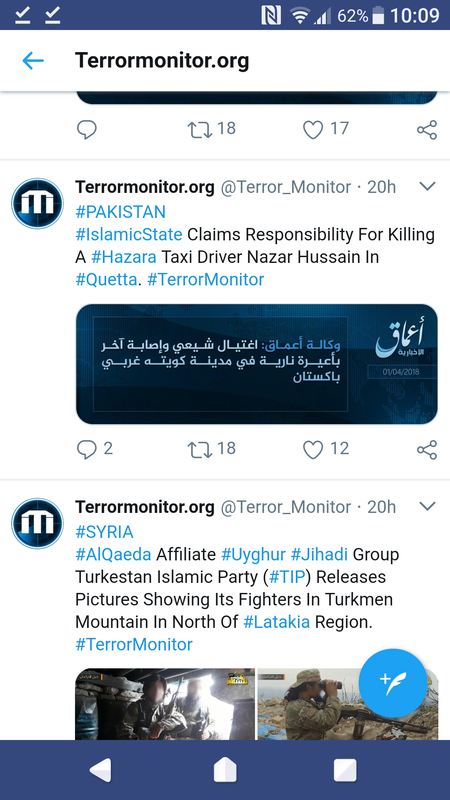 There are Moghul and Turk tribes in Hazaras and the DNA taken by the UN in 1991 in parts of Hazara-inhabited areas in Quetta proved these claims. 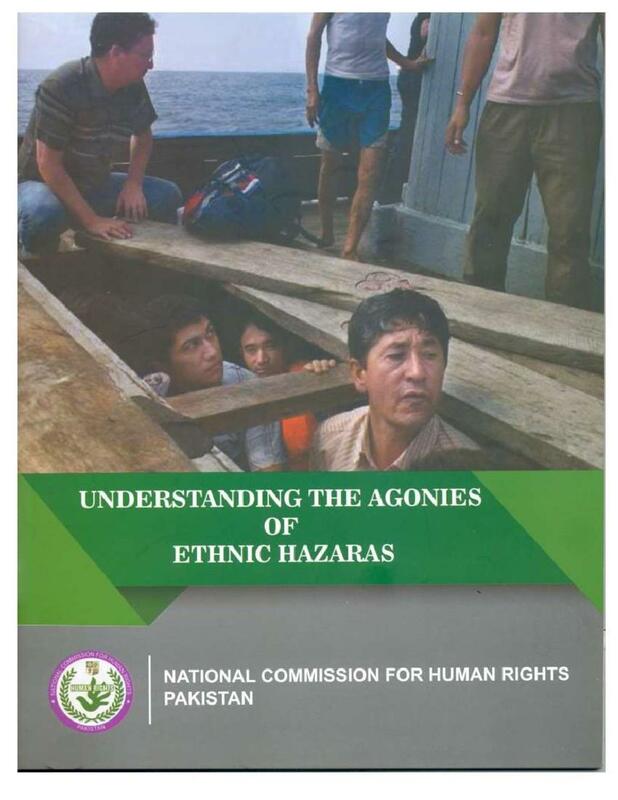 The report goes on to confuse the readers by labelling the Genocide of Hazaras as sectarian killings. The perception of sectarian killings could be applied to other parts of Pakistan where members of both sects attack each other with the aim of inflicting severe bodily harm to maximize the likelihood of instant death. However, the same narrative is not true about the Genocide of Hazaras. Since, 1999, the Hazaras have faced the brunt of one-sided targeted-attacks, suicide bombings and mass executions whereas they have never made retaliatory actions against peoples of other faith. The report lacks in-depth understanding and elaboration of existing situation which cannot be summed up in one paragraph. Stable financial position is integral to the upbringing of family but the report, unfortunately, fails to highlight this important segment. As such, the volatile security situation has forced Hazaras to either sell off their business establishments in bustling bazaars of Quetta or shut them indefinitely. The report also fails to sketch out the trauma, pain, miseries and hardships of critically injured people and affected families who have lost their breadwinners. 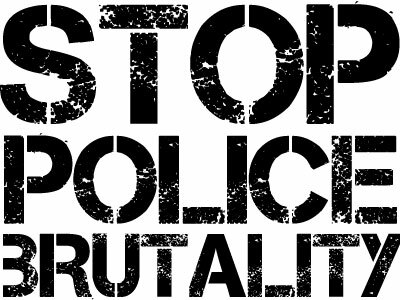 The researchers have failed to interview families of victims to document their financial, psychological and survival problems after the killings of their sole breadwinners? The report has failed to document first—hand information about financial difficulties of survivors and victims’ families in terms of means available to meeting their living costs, paying utility bills and tuition fees as well as meeting their requirements of daily ration. The report has failed to underscore the Right to Social Liberties of this persecuted community. Questions like why security establishments should be allowed to confine them in concentration-like camps in the name of precarious security situation, why the federal and Balochistan’s provincial governments have completely failed to cleanse Quetta city and its immediate suburb of the filth of terrorists and why unarmed and innocent civilians are confined behind security check posts while terrorists are roaming around freely in the city remain unanswered, giving impetus to the fact that the report was an attempt of eyewash to appease people in the corridors of power. There are other important questions which could have been incorporated into the report to make their efforts worthwhile and reliable. Unfortunately, the report fails to address issues of community cohesion. It has failed to mention of any sincere effort of the federal and provincial governments in integrating Hazaras into the social, economic, educational, cultural and political fabric of the country. The Hazaras have been forced to live marginalized, isolated and separated life without sincere efforts of the government in their timely integration. Unfortunately, the report has relied on unreliable narrative of the Balochistan Home Department and shared summarily an incoherent list, detailing the numbers of individuals killed and injured since January, 2012. The NCHR should be aware that undocumented narratives cannot be used in compiling report about the ongoing Genocide of a beleaguered community. The NCHR failed to question Balochistan Home Department as to why they don’t have the complete list of people killed and injured from first incident taking place in 1999? Such pathetic attempts expose the lethargy and non-serious attitude of NCHR and the government in addressing this grave issue. The number of Hazara individuals killed was quoted as saying 509 since January, 2012 but NCHR has failed to confirm the number of terrorist attacks leading to these casualties. If the Balochistan Home Department maintains that the terrorists come from Afghanistan as reported, the NCHR should have tried to establish the fact that how the terrorists can succeed in target-kill people in a city having only two exit/entry points. Despites dozens of security check posts, how can terrorists escape after these terrorist attacks? The exit/entry point falling in north-west of Quetta is relatively safe while the exit/entry point towards south has been the epicentre of terrorist attacks. NCHR has failed to pinpoint the local assets and connections of terrorists, the arrest and prosecution of their abetters, financiers, masterminds, facilitators and sympathisers. The Home Department’s narration that Hazaras killed since 2014 adopted unsafe and unfrequented routes to Pakistan from Afghanistan is completely false as all Hazaras killed to date have been targeted inside Quetta metropolitan or in immediate suburbs of the city where security check posts are manned 24/7 by security personnel. Foregoing to this view, Chaman city bordering Afghanistan is situated in north-west of Quetta city which has not had any incident of terrorist attack on Hazaras, then, how is possible to target-kill Hazaras on safe routes? It absolutely false that the Hazaras themselves become involved in the killings of their brethren where, almost, every home has now had its loved ones either killed or severely injured as a result of these terrorist attacks. In sectarian violence, it is important that both the parties should kill each other while, in terms of Genocide of Hazaras, this is completely different as the Hazaras are being killed only without retaliatory action from the victims. If Iran-Saudi proxies are active in Quetta, why security establishments have failed to apprehend them? Why terrorists, target-killers, facilitators and local contacts involved in terrorist activities have not been arrested yet? Answers to these and many other important questions were either left out deliberately or the researchers were of extremely low-calibre who were oblivious to essentials of compiling a trust-worthy report. The reliability of the report further diminishes its essence where they have relied or collated material from sources accessible through internet. However, there is no doubt that the NCHR has not adopted pragmatic approach in relying on authentic and referenceable sources. For example, in footnote 49, the link about support of minority groups in Pakistan is bizarrely inaccessible/broken/dead for unknown reasons. The NCHR report fails to address the genuine grievances of Hazaras, the failure of LEAs and security establishment in taking concrete steps against those involved in these terrorist attacks. The Genocide of Hazaras is ongoing since 1999 but no remedial measures have been taken to root out religious extremism and terrorism from Quetta. Elements of banned religious organisations take out rallies in Quetta city routinely while provoking protesters to attack Hazaras but the LEAs, instead of arresting them, provide security to these rallies. 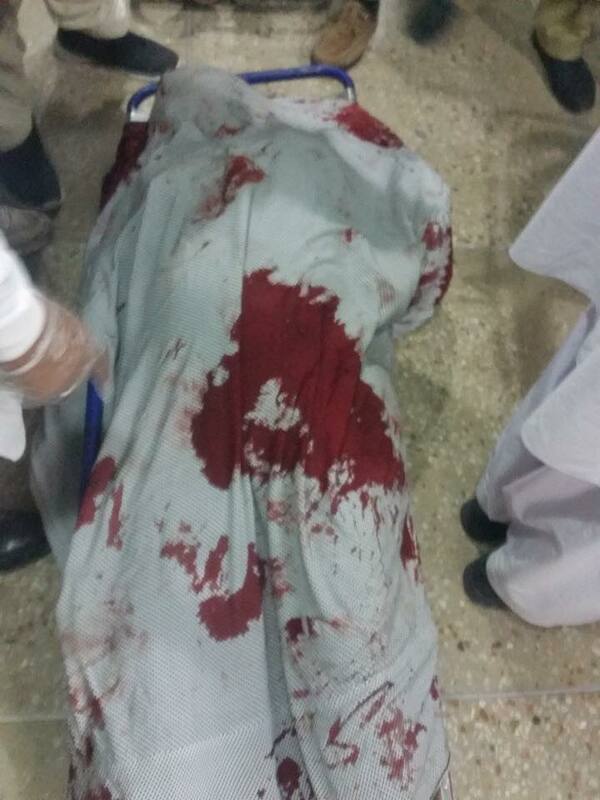 The central leadership of Anjuman Sipaha-e-Sahaba aka Ahle Sunnat Wa Aljama’t (ASWJ) gathered in Quetta city to pay homage to their suicide bombers in the aftermath of January, 2013 attacks and attributed congratulatory songs to them for killing over a hundred people in one attack, nonetheless, the security establishment, LEAs and federal and provincial governments provided foolproof security to patrons of terrorists. The report is farce, incoherent, unreliable and deceitful. Faith-Based Violence and Deobandi Militancy in Pakistan. Springer. 2016. p. 346. ISBN 9781349949663. The grave impact of that legacy was compounded by the Iranian Revolution, and Zia-ul Haq’s anti-Shia policies, which added the violence and regimentation of the organization. Gall, Carlotta (5 December 2006). “Afghans consider rebuilding Bamiyan Buddhas”. International Herald Tribune/The New York Times. Rashid al-Din asserts that Genghis Khan was born in 1155, while the Yuanshi (元史, History of the Yuan dynasty) records his year of birth as 1162. According to Ratchnevsky, accepting a birth in 1155 would render Genghis Khan a father at the age of 30 and would imply that he personally commanded the expedition against the Tanguts at the age of 72. Also, according to the Altan Tobci, Genghis Khan’s sister, Temülin, was nine years younger than he; but the Secret History relates that Temülin was an infant during the attack by the Merkits, during which Genghis Khan would have been 18, had he been born in 1155. Zhao Hong reports in his travelogue that the Mongols he questioned did not know and had never known their ages. 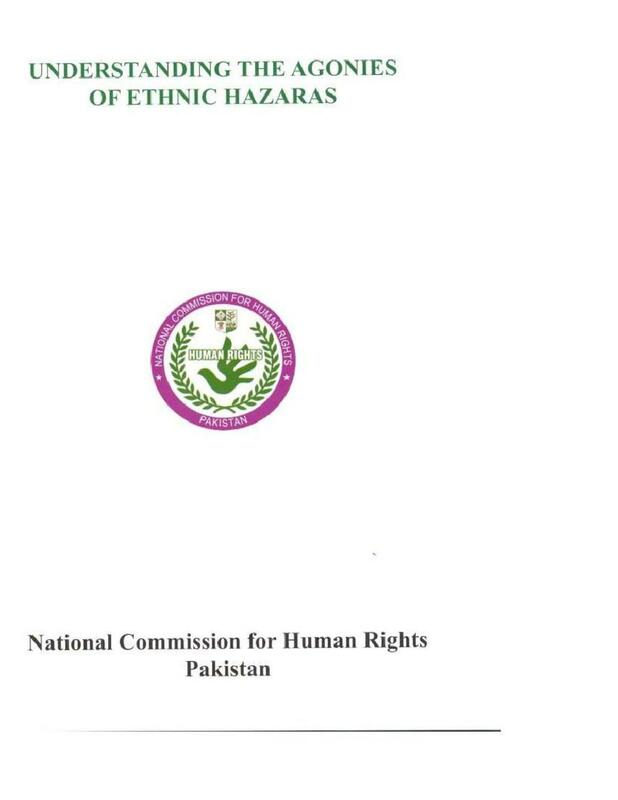 Posted in NCHR, Pakistan, Press and Information and tagged Killings of Hazaras, NCHR, Pakistan, Report of the National Commission of Human Rights, Understanding the Agonies of the Ethnic Hazaras. Bookmark the permalink. 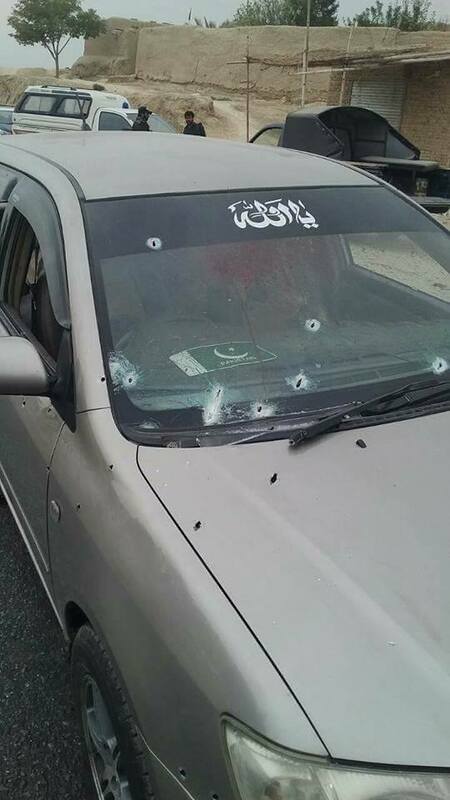 This morning’s attack on innocent Hazara civilians on RCD Road, Mastung manifests the intent of terrorists to target-kill anyone with impunity while the Pakistani government, the Army and intelligence agencies admire their efforts for eradicating terrorism from the country. The results of military operations against terrorists are effectively depicted on papers but Government’s sincere and honest efforts in providing safety to the masses have always remained a distant reality. The Pakistani Hazaras have been restricted to their dwellings in east and west parts of Quetta, whose living conditions can fairly be termed as living in Concentration Camps, however, the terrorists have explicitly penetrated a complete sense of insecurity and fear in and around the city. Last week, terrorists target-killed a senior police officer and his guards in suburb of the city and, within hours, the government announced to have successfully neutralized the perpetrators of the attack during a raid on their hideout. Such tentative action of the government transpires that it is fully aware of the whereabouts of the terrorists but does not take any action unless the latter attacks government officials. The genocide of Hazaras has been ongoing place since 1999 but the government has hardly showed willingness to prosecute the perpetrators, their aides and abettors, financiers, supporters and masterminds. Such elusiveness holds the government equally responsible for the genocide of Hazaras. HUM shall not accept condemnatory statements and rote condolences from the government any longer but would want to see decisive action against the terrorists, ensuring full safety and protection of Hazaras. Posted in Pakistan and tagged Hazaras, Mastung Incident, RCD. Bookmark the permalink.